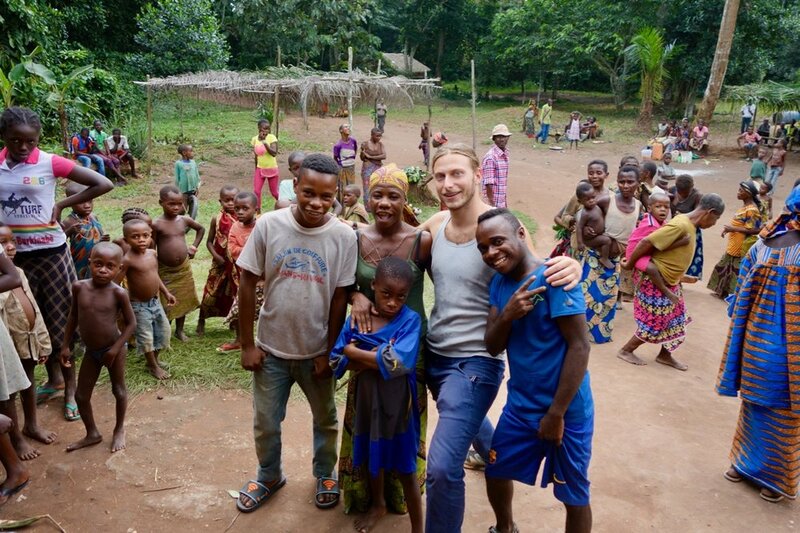 After months of preparation and a whirlwind welcome in Bayanga, at last in July Louis made it home, and those (Wah Mohn, Thomas and Joakim Martennson) who brought him have each returned safely, though not without those inevitable stretch marks from soul expansion. Louis was celebrated by a hybridized ceremony of BaAaka and local Bantu cultures, where everyone from the Mayor to the BaAaka Chiefs were present to honor him. He was interred into a stone structure that took several sleepless nights to build and which will stand for generations to come. It is perhaps one of the best burial sites in the country. After living there for 30 years, there formed a complex co-dependent situation which was both rare and beautiful. Yet without him, it is unsustainable. In his wake, Yandoumbe is going through a tough transitional phase. But only through losing him can they push towards independence. For the BaAaka the ashes functioned as his body and were buried as so. They provided closure for their grieving which began in early April. 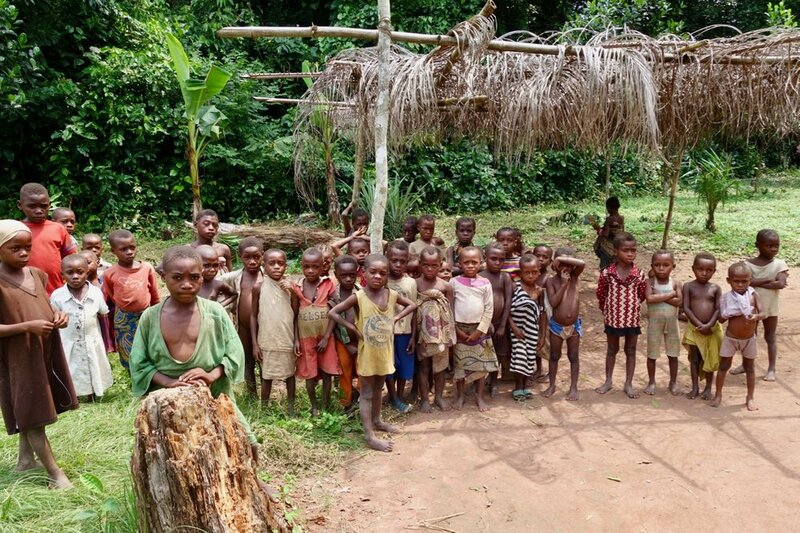 Expectations were extremely high in Bayanga for our continued support. Despite only six full days we were re able to move forward with the water pump (checked that it is functioning and scheduled its future maintenance) and assess access to medication. After visiting the hospital and meeting the traveling doctor, we are now working on inserting Yandoumbe into his assigned locations. For your donations towards this endeavor, we want to thank you. We are eager for Yandoumbe to achieve total self-reliance, but the road is long. Though we want to avoid dependence, the contradiction is that to prevent this community and Louis' son Samedi from spiraling, our support is still needed. 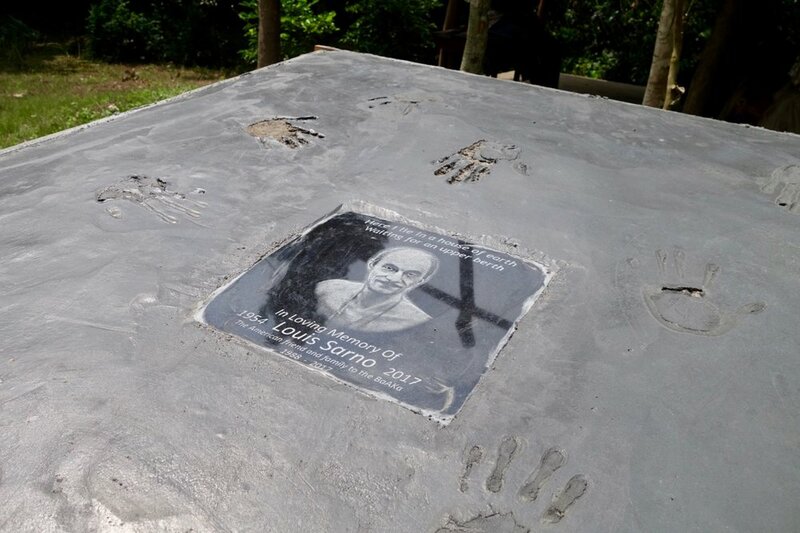 As a tribute to Louis, let us stay connected to his distant friends and family in the forest. Through wise action, we can help facilitate this new phase in their lives. Below is the link to the video. It is not public, but you can access it through this link. We recommend watching it in 1080p (click the HD button to select this). Note: there are nine photos below, just press and it will flow through each one.